Adhesive solutions for sports flooring systems truly need to be high performance. Whether artificial turf, gym floors or Tartan track: Substrates have to carry a high load during training and competitions - both indoors and outdoors. This is why the demands on the adhesive are completely different. When it comes to sports floors or artificial turf, the decision for the right adhesive is based on the longevity of the covering. Our system solutions for sports floors mean safety, security, protection and resistance. STAUF adhesives for sports floor systems are specially developed for each location. Only the exact interaction of the components used can achieve the best possible results. 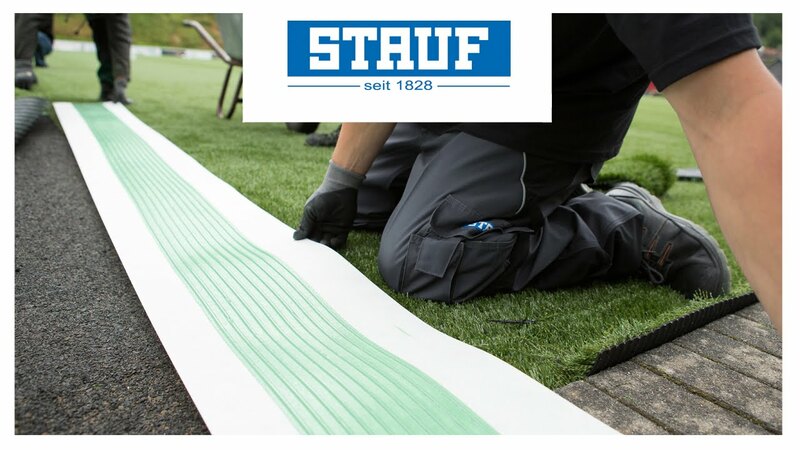 With STAUF SPORTS you can achieve the flooring characteristics you want for the requirement. We develop and manufacture exactly matched adhesives for every requirement, whether for swing floors or impact walls indoors or artificial turf outdoors.